“We used to call him years ago the ‘Teflon Man’ because nothing sticks,” one former European sports media executive told BuzzFeed News. 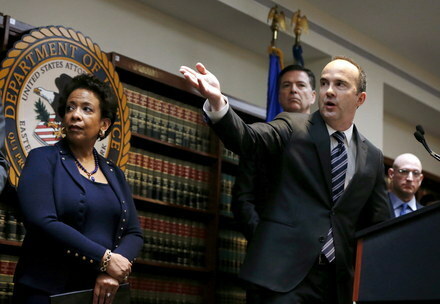 After U.S. Attorney General Loretta Lynch announced charges Wednesday against 14 international soccer officials and corporate executives over alleged corruption at the pinnacle of the world’s most popular sport, the first question she was asked by a reporter at her Brooklyn, New York, press conference was about a man not named in the federal indictment: Sepp Blatter. The 79-year-old has captained soccer’s world governing body, FIFA, since 1998, despite his organization being dogged by corruption allegations for years. For years, allegations have simmered about ugly, criminal conduct at the highest levels of “the beautiful game:” bribes and kickbacks from sports marketing companies to FIFA officials in exchange for lucrative contracts; an insular executive concerned only with protecting — and enriching — itself; a bidding process for the 2018 and 2022 World Cup tournaments marred by purchased votes (a claim Swiss prosecutors are now investigating, in addition to FIFA’s Ethics Committee). 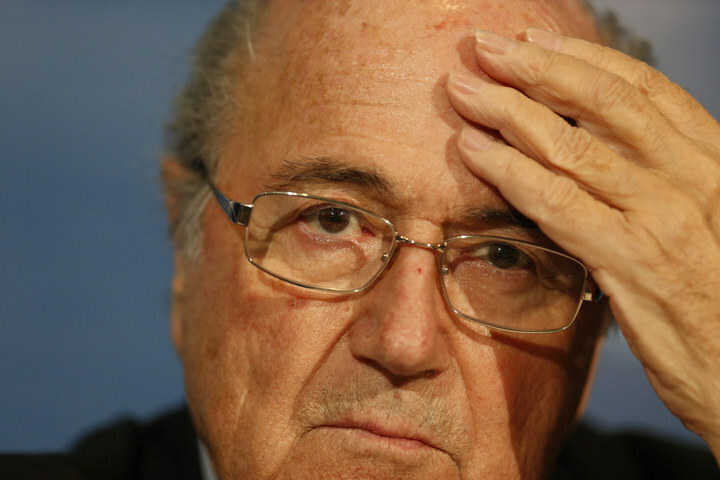 But, despite it all, no evidence has been found to tie Blatter to any of the alleged criminal conduct. Alexandra Wrage is a corporate governance consultant who was hired by Blatter to sit on a FIFA committee designed to clean up the organization. She ultimately resigned in April 2013 out of frustration at a perceived lack of progress. Wrage told BuzzFeed News the sport’s governing body had been corrupt for years. Before the federal charges were announced Wednesday, Blatter was widely expected to be comfortably re-elected for a fifth term as FIFA president at a meeting of officials on Friday. Among those calling for a postponement of the FIFA Congress meeting and presidential elections was the executive committee of the Union of European Football Associations (UEFA), one of six continental confederations that comprise FIFA. Also calling for a “new start” for FIFA was Acting U.S. Attorney Kelly T. Currie of the Eastern District of New York, who helped steer the Department of Justice investigation. “After decades of what the indictment alleges to be brazen corruption, organized international soccer needs a new start,” Currie said. “Let me be clear: This indictment is not the final chapter in our investigation,” he said, echoing Lynch’s comments. But, under American law, any possible charges against Blatter by U.S. officials will depend on prosecutors finding evidence of not only criminal conduct, but conduct which somehow spread, however slightly, to the U.S. legal or financial/banking system. 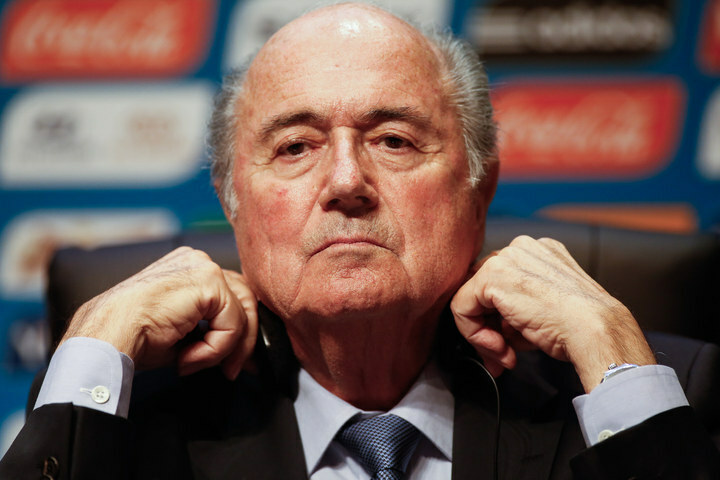 “If you arrested everyone involved with corruption today, you probably wouldn’t have a FIFA Congress,” he said. Blatter has previously made light of the corruption allegations against his organization and critics of his tenure as president. However, despite his past tendencies to shake off controversy, the Department of Justice investigation represents the biggest threat to Blatter’s tenure as president, one that could also shake the very foundations of FIFA. 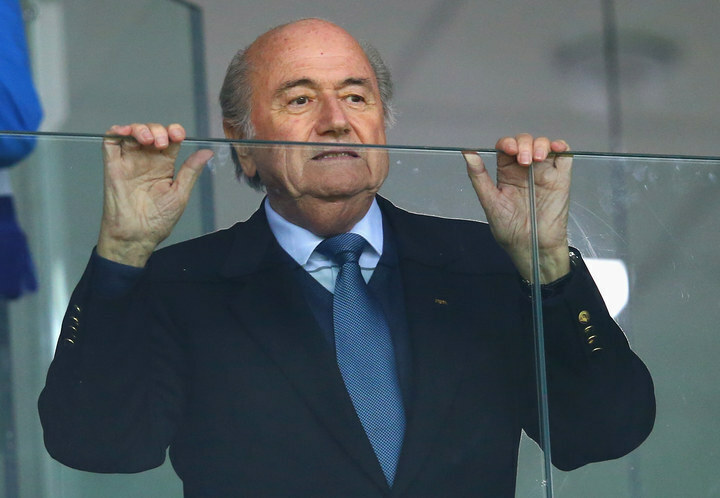 For now, though, Blatter’s somber mood has his detractors celebrating.